Mobdro is one of the best media streaming app with lots of amazing features. It is available for iOS, android and computer users. 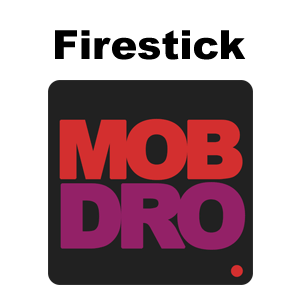 Mobdro allows you to access huge collection of TV shows, reality shows, cricket matches and many other entertainment stuffs. The users are facing lots of issues in installing it on Amazon Fire TV device or Firestick for which I am sharing a tutorial completely. This guide is 100% working for Amazon Fire TV users. First of all you need to turn on Firestick. Then you need to select Settings. After that you are supposed to Developer Options. Now you need to select Apps from Unknown Sources and turn ON. When you are warned about Unknown sources tap OK.
Now again get back to the homescreen and select the search bar. Here you need to search for ES File Explorer. Now select the official ES File explorer. Afterwards, you need to install ES File explorer. Then select Favorite from the menu and then select Add. After that you need to enter the path as https://mobdro.how and name as Mobdro. Then you need to select More from the bottom right corner. Here you need to select Open with ES Downloader. It will start downloading the Mobdro on your Fire TV stick. Then you need to select Open Folder. Now you need to Install Mobdro. Afterwards, you need to go back to home and select Apps. Here you need to select Mobdro to Open it. Congratulations you have successfully installed Mobdro for FireStick! This was my download Mobdro Firestick complete guide and I am sure you guys must have found it helpful and worth reading. If you are facing issues in downloading it then you may lend your queries in the comment’s box and I shall try to resolve your issues as soon as possible. Don’t forget to share this tutorial with others who might be looking for the same.